Pokemon the Movie 2000 or Pocket Monsters the Movie: Revelation Lugia as the Japanese title translates to was initially released in Japan on July 17th, 1999 and followed with staggered releases throughout the rest of the world until the end of December 2000. The movie is also known as Pokemon the Movie 2000: The Power of One in western releases. The movie is directed by the anime series chief Kunihiko Yuyama and stars the following voice actors: Rica Matsumoto, Ikue Ōtani, Unshō Ishizuka, Mayumi Iizuka, Satomi Kōrogi, Tomokazu Seki, Megumi Hayashibara, Shin-ichiro Miki, Inuko Inuyama, Kōichi Yamadera, Chikao Ōtsuka, Kotono Mitsuishi, Akiko Hiramatsu, Takeshi Kaga and Masatoshi Hamada. The related Anime season to this film is Pokemon Season 02: Adventures in the Orange Islands, and most of the events within the movie happening the Orange Archipelago, infact the films events begin when Ash, Tracey and Misty are enjoying a nice day travelling between Islands on their journey and there boat is knocked off course, resulting in them arriving at Shamouti Island. Chronologically the movie is placed somewhere between Episode E #87 and Episode E #115 of Adventures in the Orange Islands, it can't have been any later than that as Ash still had his Lapras in the movie. Slowking's Day - a truly short short, with around a 3 minute 30 second run time. This was only shown to Japanese audiences. Although Pokemon: the Movie 2000 didn't earn as much at the box office as the first movie, it was still very succesful netting $133.9 million USD overall. The second Pikachu Movie short: Pikachu's Rescue Adventure begins on a sunny day when Ash, Misty and Tracey decide to take a break from their journey to enjoy the weather. Their Pokemon are out sleeping peacefully, that is except for Togepi who has spotted a swarm of Ledyba flying overhead and decides to give chase, unfortunately tumbling down a slope and knocking over a lost and bewildered Meowth before the two of them plumett into a tunnel; the entrance for which is at a hollowed out tree trunk. The other Pokemon; Pikachu, Bulbasaur, Squirtle, Marill and Venonat go chasing after Togepi and peer down into the dark tunnel that it fell into. Psyduck comes charging down in a panic shortly after and knocks the whole group into the same dark tunnel. The group don't find Togepi and Meowth but they do get a lift from the swarm of Ledbya who deliver them deeper into the surrounding forest and there they find hundreds of Pokemon from many different species, with Pikachu meeting an Elekid who seems to agree to help them search for Togepi. Meowth meanwhile is hanging precariously from a tree branch over a waterfall, trapped by his backpack. Meowth calls for help but his calls are answered only by a Gyarados attempting to eat him. Togepi doesn't appear to be with Meowth either. Meanwhile Elekid leads Pikachu and the other Pokemon high into a tall tree, where they find a nest containing Exeggcute, and Togepi posing as one of them. The Pokemon try to retrieve Togepi but the Exeggcute won't allow them to remove it. Togepi jumps in and out of the nest and the Exeggcute find it a fun game to follow it. Elekid guides Pikachu and the group into a dark cave full of bug type Pokemon, when they leave the cave they find a magical water garden that contains three dancing Belossom as well as groups of other dancing and generally gleeful Pokemon from Vileplume to Seaking to Kingler. The group head back into the dark cave where a big group of Clefairy use their Metronome and send them all flying, fortunately however they land in a tree filled with springy, bouncy leaves and take great fun in bouncing higher and higher into the tree. Meowth isn't having so much fun and is still in the tree, that is until Pikachu and Elekid fall out of the tree and hit the branch he's stuck to, before the three of them go plumetting into the water. All three Pokemon then find themselves on the back of a Gyarados heading up the waterfall, Meowth and Pikachu squabble and Pikachu shocks him, and unfortunately Gyarados. Gyarados doesn't take kindly to the shock and thrashes about, sending Meowth blasting off. A short while later a terrible storm begins to brew; heavy rains follow heavy winds. The Pokemon group and Elekid all head into the trees to save the nests of Exeggcute which risk being blown down from the trees by the strong winds. Many other Pokemon turn up to help secure the nests. Lightning begins to strike the surrounding trees knocking them over, as the Pokemon look on in worry and dismay Pikachu has an idea, he heads to a treetop and begins using electric attacks on the lightning, redirecting it and saving the trees, a short while later his new friend and electric counterpart Elekid turns up and joins in too, together the two of them fend off lots of the lightning until eventually they set fire to the tree. Squirtle and Marill quickly put out the flames, but the winds of the storm grow stronger, the nest with Togepi in takes off but Bulbasaur manages to grab it with it's vine whips before itself being lifted from the ground by the force of the wind, many Pokemon grab onto Bulbasaur and the next sequential Pokemon but they too are lifted into the air, that is until Snorlax stops eating for long enough to save them all! The storm passes and the sun begins to shine once more. Crisis is averted in the great tree of the Pokemon, Togepi rejoins its peers and a strange stone that appeared during the storm (a leaf Stone) is given to the Exeggcute to play with, seemingly prompting them into evolving into Exeggutor. Ash, Misty and Tracey's Pokemon head back to their trainers after their adventure. Meowth meanwhile washes up in a river downstream and proclaims that he never wants to go to camp again. Ash, Misty and Tracey awaken from their afternoon nap and wonder where the Pokemon are; when they spot Pikachu and the others in the water nearby, assuming they were just playing the whole time. A Slowking (who can talk) stands guard over the Shrine of Shamouti as the prophecy is read. The scene then switches to a strange looking airship navigating the skies under the command of a wealthy and fanatical Pokemon Collector by the name of Lawrence III, and on the bridge of that airship a sophisticated computer system calculates that the titans of fire, ice and lightning from the prophecy are infact Moltres (Fire), Articuno (Ice) and Zapdos (Lightning) the legendary bird Pokemon. Lawrence III see's any one of these legendary birds as a priceless addition to his collection; but his ultimate aim is to capture all three legendary birds in order to draw out Lugia; the guardian of the sea - this is the main prize that he seeks for his collection. The airships computer system uses its powerful technology to locate these three Legendary birds on each of their respective homes in the Orange Islands and adds holographic avatars of each bird to a map in front of Lawrence III. Moltres turns out to be the nearest of the legendary birds so Lawrence III plots a course to capture it first. A short while later Lawrence's airship arrives over Fire Island, the home of Moltres and begins releasing a disruptive barrage on it's home in order to draw it out. Moltres responds as expected and rises from it's home to face the attacker; Lawrences airship lands powerful hits on Moltres with its ice cannons before deploying special devices to subdue and capture Moltres whose capture begins to have immediate consequences in terms of the climate and weather changing. Meanwhile Ash, Misty and Tracey are continuing their Adventures in the Orange Islands and are sailing on a boat owned by a girl called Maren. Tracey suggests they take advantage of the calm seas and nice weather to let their Pokemon get some air, so all three trainers begin sending out their Pokemon to enjoy the weather; Snorlax is recalled by Ash immediately after it nearly sinks the ship and Charizard is recalled after it tried to set it on fire. Team Rocket it goes without saying are stalking just behind Ash and co in their Magikarp sub when all of a sudden both groups are rocked by a sudden change in the sea, the calm sea and sunshine rapidly takes its leave and a powerful storm begins to take hold of the seas. The storm knocks our heroes off course badly, sweeping them out right into the middle of the Orange Islands to the Island of Shamouti. The affects of Moltres' capture and the resultant shift in the balance of power between the three Legendary birds becomes apparent even further afield; Delia Ketchum is watering her garden with the help of Mimey and having a chat to Professor Oak in the sunshine when all of a sudden the weather turns from a sunny day to heavy Snowfall - not a positive sign in the middle of summer. Professor Oak at this point notices flocks of Pidgey flying off, followed by a large group of Diglett all heading in the same direction; Oak is quick to summise that the sudden change in weather is directly linked to the Pokemon being so disturbed and upset; as they are better in tune with nature than any human ever could be. Ash, Misty, Tracey and their friend Maren arrive at Shamouti Island to find that the locals are currently celebrating their annual Legend Festival; a massive part of which is the reminders of the ancient prophecy of Shamouti which basically says that when the world is under threat, the Guardian of the Seas; Lugia shall rise to stop the destructive fighting caused by three Legendary birds, but it can only do it with the help of a chosen one. Maren's friend Carol had previously been the Festival Maiden but is apparently too old for the role, as such Carol's younger sister; Melody is co-erced into assuming the role, despite not being forthcoming about it. When Maren introduces Ash as a Pokemon trainer the Islanders become very excited as his oppurtune timing coincided with both the prophecy and the timing of their festival about it. Melody in her role of Festival Maiden has already taken a liking to Ash, making her a little bit more enthused to give him a customary welcome kiss and approve him as The Chosen One for the Prophecy. Misty does not look happy about this at all. Later on at the Festival Ceremony, Melody re-appears on the stage in her festival attire and plays a tune similar to that of the cry of Lugia using an instrument that appears to be made from Sea shells. She then explains Ash's role as the chosen one will entail him heading to each Island at which a legendary bird makes it home in order to retrieve it's respective Orb; the Orb of Fire, the Orb of Lightning and the Orb of Ice, he must then bring all three Orb's to the Shrine on Shamouti where she will once more play the tune to conclude their annual festival. Ash is proud to be the chosen one and sets out on his journey immediately despite Melody telling him he should stay and enjoy the party and instead set off the next day. Maren volunteers her boat and she and Ash head off to retrieve the orbs. Ash ask's if Misty is coming but she's still clearly very jealous of the attention he's getting from Melody and she declines. Pikachu steals Ash's hat and runs off, Ash giving chase. Team Rocket meanwhile are pedalling the remains of their sub toward Shamouti Island when Ash and Maren sail rapidly past them in Maren's boat, knocking them into the water. The sea once more takes a turn for the worse and Ash, Pikachu and Maren continue their journey through the seas. Meanwhile back on Shamouti Island Melody, Misty and co notice how bad the weather has become and start to worry about Maren and Ash, Melody taking it particularly badly as she chose Ash for the ritual. Melody takes her speedboat and is accompanied by Misty to go and look for Ash and Maren, Tracey joins them. A few more jibes fly from Melody to Misty ref her being jealous and Ash being her boyfriend. As the events with Ash and co at sea continue, Lawrence III notices a shift in the balance of power between the three legendary birds; the capture of Moltres seems to have resulted in Zapdos taking control of a larger area and gaining power; the systems on Lawrences' airship detect Zapdos and he sets a course. Professor Oak and Delia Ketchum meanwhile are watching an emergency news broadcast about the strange and extreme shifts in weather; stating that it seems to be originating from the middle of the Orange Islands. Just then Oak gets a phonecall from Professor Ivy on Valencia Island who reports that the Pokemon there are behaving very strangely. Ash and Maren continue their journey, although the storm appears to have passed the sea itself becomes rougher and rougher, smashing Maren's ship into a rock breaking its rudder before washing it ashore a stony nearby Island, it turns out to be Fire Island the home of Moltres. As soon as they hit land Pikachu goes running off with Ash in chase. Maren remains onboard her beached ship for some tea and snacks when another huge wave comes ashore and hits her ship, the same wave that knocked Melody's ship onto a nearby rock. Melody deploys some sails and uses them and the strong winds to effectively fly their ship up the mountainous path that Ash and Pikachu took. On Lawrence III's airship meanwhile he is examining the captured Moltres and states that it looks miserable, and that Misery loves company; saying this as he prepares to capture Zapdos. Back on the Fire Island Ash and Pikachu continue ascending rapidly up the steps until they eventually find the shrine of fire and Ash retrieves the ancient sphere of fire from it and prepares to head back down to shore when he is confronted by Team Rocket, who are seconds later diving for cover when Melody's ship flies over the horizon, narrowly missing crushing them. Melody berates Ash for not just listening to her about just staying at the party, Misty agrees with her and states that she has to put up with it every day, to which Melody replies that it's just something she'll have to get used to when the two of them get married, a little squabble between multiple parties ensues on this matter when Zapdos comes cruising over Fire Island and begins unleashing its lightning, before perching on the shrine of fire. Pikachu unleashes a series of electric shocks in Zapdos' direction, initially Ash and co believe Pikachu is attacking, but it isn't... its just trying to communicate with Zapdos. Meowth translates that Pikachu is asking what Zapdos is doing on Fire Island, and then asking where Moltres is. Zapdos explains that Moltres used to rule here, but now it is claiming the island for it's own and that lightning shall rule over fire. A short while later the airship of Lawrence III arrives overhead and provokes Zapdos before absorbing a great deal of it's electrical energy. After draining a lot of Zapdos' power several capture devices are released from the base of the airship and begin trying to capture Zapdos, eventually succeeding. It's at this point that Melody's boat along with everyone on it, as well as Team Rocket are also captured and bought into the holding area of Lawrence III's airship. Ash, Misty, Tracey, Melody and Pikachu find themselves captured in the same sort of holding area that keeps both Moltres and Zapdos captive. Melody spots the scripture from which Lawrence III learned of the prophecy and begins to read it, moments later Lawrence III emerges from the high ceiling and begins talking about his legendary bird collection. Misty states her disgust and asks what type of trainer he is, to which he replies that he is not a trainer but a collector that began with a Mew card and now he has all this, going on to add that legendary Pokemon are his true passion. The computer system interrupts their conversation when it states that Articuno is approaching, Lawrence III releases the group from their holding area and excuses himself before heading back to the bridge. Melody begins to wonder if the legend that her people annually celebrate with festivities could infact be true. Meanwhile on Shamouti Island, many of the people who had been involved in the festival are watching the news on TV; a news/weather report indicates that the epicentre of the extreme weather is now confirmed as being near to Djibouti Island, to which thousands of Pokemon are travelling by both air and sea, with ground types which are unable to get there massing at the lands edge nearest to the Island. The news crew then hand over to Professor Oak and Ivy who are travelling to the Orange Islands by Helicopter. Oak correctly theorises that the legendary birds are somehow involved, explaining that many ancient prophecies regard this area; particularly the Islands of Fire and Ice as the source of all of the worlds water; and although science may not back this up, it does make poetic sense as the combination of Fire and Ice results in water. Oak goes on to explain that an imbalance between Zapdos, Moltres and Articuno could result in powerful currents beneath the sea, potentially flooding the world. Professor Ivy weighs in with her thoughts, that all of the Pokemon are infact gathering due to a sense of impending doom, gathering incase any one of them could help to save the planet. The interviewers then ask Delia Ketchum who she is; she quickly explains that her son is in the Orange Islands, and that he is the whole world to her. A snowstorm rages on the usually sunny Shamouti Island and Carol gazes out of the window worried about Melody. Melody is meanwhile continuing to read the prophecy she found in Lawrence III's airship and the whole group realises that the world is indeed at risk when she reads "Disturb not the harmony of fire, ice and lightning, lest these titans wreak destruction on the world in which they clash". The group realise they have to set Moltres and Zapdos free, Ash takes the simple approach and tries to simply barge into the chamber that holds Moltres, it's clear that it isn't going to work. Meanwhile Lawrence III has Articuno in his sights and begins shooting fireballs at it with his airships powerful cannons, At the same time something stirs beneath the ocean. Back in the holding area of Lawrence III's ship, Ash and Team Rocket are using their Pokemon to try and free Zapdos and Moltres and eventually the combined attacks of Bulbasaur, Squirtle, Charizard and Pikachu manage to free Moltres. Moltres then fires its flamethrower at Zapdos and destroys his holding chamber, before the two burst through the very walls of Lawrence's ship and start attacking it. The airship is sent crashing down on Lightning Island. Ash and friends, Melody and Team Rocket desperately flee the stricken airship as it finishes crashing down, destroying the Shrine of Lightning as it does... the Orb of Lightning however finds its way into Ash's hands. An epic battle ensues between Moltres, Zapdos and Articuno and the stirring beneath the seas begins to intensify. Ash and co make it to Melody's boat which is then grabbed by a strange swirling cyclone of seawater which delivers them directly to the shrine at Shamouti Island where Ash and co meet the talking Slowbro who instructs Ash to place the treasures he has obtained into the shrine. Ash places the orbs of Fire Island and Lightning Island into the shrine. The battle between the legendary birds rages on, with great destruction following in it's wake. The mysterious cyclone of seawater emerges and hits all three Legendary Birds briefly putting a stop to their battle; the great Guardian, Lugia emerges from the cyclone and attempts to quell the unrest of the three legendary birds. Lawrence III spots Lugia, to whom he refers as the beast of the sea and states his intent to capture it. Zapdos, Articuno and Moltres stop their battle and instead all three turn their attacks on Lugia. Melody reads that "though the guardian of the sea will arise to quell the fighting, alone it's song shall fail... thus the earth shall turn to Ash." Despite a strong effort from Lugia, the other three birds combined power was too much and after a combination of fire, electric and ice attacks Lugia falls crashing back to the sea. Professor Oak and Ivy, along with Delia Ketchum and the news crew are arriving in the area on their helicopter, and they aren't enjoying the rough ride. Ivy knows that something serious, potentially impacting the fate of the world is happening just by the way the Pokemon are acting. Ash and friends stand alongside Slow King who is rather worried that without the chosen one, everyone is doomed.... Melody wonders how they will ever find the chosen one, Misty works out that the prophecy spells it out.... "the world will turn to Ash". As the group all point the finger at Ash as the chosen one, Melody plays the instrument she played in the beginning, noting that it sounds just like the song of Lugia. Lugia meanwhile is stilll plumetting toward the bottom of the ocean, but becomes invigorated by the song which restores its strength. Lugia returns to the skies, and communicates with Ash and group that all three treasures must be aligned, to allow for it's song to harmonise with that of the other Legendary birds.... enabling to to tame the beasts both above and below the sea and save the world.... but that it can only come to pass with the help of the chosen one; Lugia goes on to state that only in the hands of the chosen one will the Ice sphere's power awaken. Ash realises that he has to get past three battling legendary birds, and across an icy tundra in order to obtain the final orb and is a bit bewildered that the task has fallen to him and is a bit upset; Misty, Melody and Pikachu all tell him he can do it, and he sets off across the ice semi-embracing his role as the chosen one. Pikachu spots the wreckage of Melody's boat and seems to have an idea, they use a piece of its hull as a sleigh and Charizard, Squirtle and Bulbasaur have ropes tied to them, pulling Ash across the ice much quicker than originally planned; the sky Guardian Lugia flying behind them to assist in their passage. Team Rocket are watching over a ridge and feeling jealous that Ash always assumes the role of hero, when they spot a helicopter come crashing down from which Oak, Ivy and Delia Ketchum emerge. Team Rocket spot a fan powered blow up lifeboat nearby and have an idea. Back on the Icy Tundras Ash and his Pokemon come under attack by the legendary birds Zapdos and Moltres; Pikachu anda Charizard return fire with attacks of their own and manage to briefly stop them. Articuno then comes swooping down and fires an ice beam straight at them but Lugia gets in front and absorbs the brunt of the attack. Lugia once more finds itself in combat with all three legendary birds, and the destruction from their attacks causes Ash to lose his sleigh; Ash fears he will never get there now... when he and his Pokemon then spot something coming in the distance; it's Team Rocket cruising across the ice on the fan powered life boat and they're actually coming to help for once. Team Rocket give Ash a ride, and explain that they don't want the whole world destroyed anymore than anyone else does... or they'd have no one to steal from and effectively they'd be out of work. Moltres and Zapdos return to attack the group, but they manage to avoid the attacks for long enough for Lugia to arrive and continue protecting them. 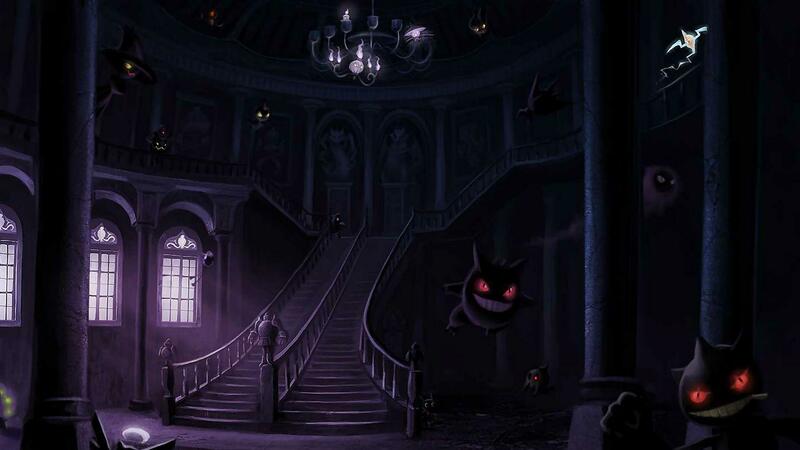 Shortly after Ash and Team Rocket reach the island and travel through some dark catacombs before eventually arriving at the Shrine of Ice. Ash approaches the Shrine and retrieves the final orb; the Orb of ice, which does indeed react to his touch. With the Orb retrieved the group are about to begin their transit back to the Shrine to place the final treasure but they come under attack from Articuno who destroys their boat. Articuno is hit by powerful attacks from both Zapdos and Moltres and knocked to the ground. As Ash runs from the scene with the final treasure Lugia flies alongside him, checks that he has the treasure and then gestures him to get on it's back. Ash and Pikachu ride on Lugia's back, Team Rocket manage to grab onto it's back leg and they start their journey back to the Shrine. Zapdos and Moltres catch up to Lugia and begin attacking it, Team Rocket realise that them holding on is slowing Lugia down and could result in the end of the world... they decide to let go of Lugia to do the right thing, and they begin plumetting to the earth; concluding that they are basically going to die; however they are lucky enough to land in a gap in the ice caused by some of the water Pokemon who travelled there; saving their lives. Ash and Lugia fly overhead the masses of Pokemon that have travelled from across the world to be there, Ash asks why they're there, to which Lugia answers that they all came incase they are needed to help save the world, and even though they are unsure if they could help thousands of them came because if even one of them could make the difference to save their world it would be worth it, Lugia then adds that today the one person who can make the difference is Ash. Lugia is soaring toward their goal and gets back into visual range of Misty, Melody, Tracey and Slowking when out of nowhere something hurtles through the sky and hits Lugia; it was fired from the remains of the Airship, and Lawrence III isn't done yet; the devices begin restraining Lugia (who still has Ash and Pikachu on its back) and although it resists with all it's might it is sent plumetting into the sea once more. Lugia musters the final ounces of it's strength to rise from beneath the ice and fire it's Hyper Beam in the direction of Lawrence III and his airship, destroying whats left of it and also hitting Moltres and Zapdos (who are still in pursuit0 in its dying seconds before becoming incapacitated and deeming that it has failed. Lugia sinks back into the ocean leaving Ash and Pikachu adrift in the icy sea, Ash is unconscious and Pikachu is trying to wake him but to no avail. Melody hands Misty the shell from which to play the song of Lugia, stating that Legend of not Ash needs help, she prepares to set off to retrieve him but Misty objects; stating that Melody can stay to play the song and Misty will go find Ash; she also adds that Ash is never truly alone because he always has her. Misty spots Ash and Pikachu and swims out with a rope, once she gets to them Tracey reels her, Ash and Pikachu back in to shore where they frantically try to revive Ash. Misty eventually manages to revive Ash, who fortunately still has the final Sphere; a half drowned and rather battered Ash defiantly continues to stagger up the hillside, collapsing several times on the way before eventually making it to the Shrine, Slowking and Melody with the final treasure. Ash places the orb of ice and the three treasures begin to react to finally being aligned; a curious green liquid begins to flow from the Shrine. Melody begins to play the song to complete the ancient ritual and the weather and sea begins to calm; as do the three legendary birds who are now flying overhead without fighting each other. Lugia re-emerges from the ocean once more and approaches Ash and friends, gesturing Ash to climb onto its back once more before taking flight. Lugia soars the now much more peaceful skies and a strange watery rainbow crosses the sky. Lawrence III meanwhile watches on from the wreckage of his airship as all four of the legendary birds soar the skies together in peace. The Pokemon that gathered from around the world begin to return to their homes and the strange beam of water returns to the sea, and the legendary bird Pokemon Zapdos, Moltres and Articuno return to their respective homes. The people of Shamouti Island emerge from their homes to see what the snows have passed and their island and their sea have returned to normality. Lugia returns Ash and Pikachu to their friends at the shrine, stating that the beast of the sea has been tamed, and that the fate of the world could not have been in better hands before it returned to the sea once more. As the sun begins to set, Ash hears a familiar voice shouting his name, its his mom; Delia who quickly berates Ash for the danger he put himself in. Misty points out that he did just save the world, but Delia still isn't happy at the risks he took, as Ash is her world, but she accepts Ash is a Pokemon trainer and she accepts that he will do what he needs to do, but she also asks that next time he saves the world he does it a little bit closer to home before adding that Ash is her hero every day. Professor Oak excitedly says they should get back to Pallet Town to tell all the other Pokemon researches what transpired here. Lawrence III retrieves the ancient Mew card which began his collection all those years ago, and states that its how he will begin once more. Team Rocket are back on dry land and are exasperated that nobody saw their heroic actions but are pleased that the world was saved none the less; when all of a sudden they are approached by Slowking who states that lots of people saw what they did, and that they're all watching them right now (referring to the audience and breaking the fourth wall). A conversation ensues about whats good and bad between Team Rocket and the movie draws to a close. This little short literally does show a day in Slow King's life, he wakes up and heads to the coconut tree to retrieve a coconut for breakfast. He takes a look at each Pillar of the Shamouti Shrine, assuming to check if it's all in order. He then proceeds to smell some flowers, and take a nap on a rock in the middle of the flower field. If the weather is nice Slow King takes a swim in the ocean and greets his friend Seel, he enjoys plenty of seafood (seaweed) and then returns to the land to watch the sun set while eating a little more seaweed. Slow King then watches the stars twinkle and says good night, preparing for another slooooow day. OK, YES I know Slowking and Lugia would generally constitute Pokemon not "Major Characters" however they offer a good bit of crucial dialog in the film, as a) Slowking can talk for some reason and b) Lugia communicates lots of important stuff about the prophecy via it's psychic powers, as such I hereby declare these Pokemon to be... Major characters, stand tall amongst your human counterparts Lugia & Slowking! These characters all had their own parts to play but weren't key to the movie's main story. A Wizards of the Coast Black Star Promo was given out for those attending western showings of the Power of One during the first few weeks of release. There was a promo for each of the three legendary birds Articuno, Moltres and Zapdos. When the movie released on VHS and DVD it came packaged with a special Pikachu Black Star Promo. Movie posters, DVD covers etc for Pokemon the Movie 2000. We are looking to add magazine scans advertising the movie, and maybe some reviews / mentions of the movie from gaming magazines. If you know where we can get some that would be super-awesome, please contact on luke/at/pokemondungeon/com. Thanks! Prior to this movie we didn't know the first names of Ash's mom, Professor Oak or Professor Ivy. They are revealed to be Delia Ketchum, Samuel Oak and Philena Ivy respectively. Lawrence III states that he began his career as a Collector because of an Ancient Mew card he got. This is the only time a Pokemon card has been a physical item within a Pokemon movies plot. Brock isn't a part of the movie's storyline, but when Professor Ivy calls Oak to tell him about the Pokemon acting strange Brock can be seen running around in the background. He can be seen carrying a Paras one way and a Nidorina the other way. Following Pokemon 2000 Brock would return as a major character in all of the movies up until the Pokemon Black & White (or Best Wishes!) films. Pikachu steals Ash's hat and runs off during the movie and there is a very similar chase scene to that seen in "Primeape goes Bananas" from Pokemon Season 1. Team Rocket perform a full, if edited variant of their motto in Pokemon 2000, they haven't done that in any other Pokemon movie to date. When Professor Ivy calls Professor Oak you can see on his screen during both the broadcast he was watching, and the video call that he's on that there are type symbols in the bottom left; the same ones from the Pokemon Trading Card Game. After being berated by his mother for his reckless world saving, Ash agrees with her that he will visit home after his adventures in each new region before setting off on anything new. Something that remains true in the anime to this day. Likewise to the above, Ash and Misty's experiences during the movie recieve some continuity, when they meet Silver during the Whirl Islands Arc they immediately recognise it as a Lugia and refer to the one they met in the Orange Islands, a direct reference to events in Pokemon 2000. Despite Pokemon Season 2: Adventures in the Orange Islands never getting a Finnish dub, Pokemon 2000 was dubbed and aired in Finland. Many people theorise that Lawrence III went after the legendary birds in a specific order, but he didn't. When his computer system worked out that the titans in the prophecy were Zapdos, Moltres and Articuno it just plotted a course for the nearest one, which happened to be Moltres. Meowth demonstrates even more amazing Pokémon translation skills than normal when he interprets a conversation between Pikachu and Zapdos which was performed by an exchange of electric currents and shocks. A decade later however this would be contradicted in the Pokemon XY Episode "A Shockingly Cheeky Friendship" in which Pikachu communicates with Dedenne in the same way, but Meowth is completely unable to translate. Takeshi Shudo stated on his blog that the ancient Mew card featured in Pokemon 2000 was originally set to have a much more prominent role in the movie, but a rewrite and series of edits later we were left just with a brief showing of it at the end and a brief reference during. Takeshi Shudo reflects upon the cards precense in the movie as a mistake on his part, I guess thats down to opinion but I thought it was quite good that a collector started with a rare Pokemon card and spiralled out of control to eventually capturing Legendary birds and nearly destroying the world. The weight loss and diet program Weight Watchers is mentioned in the movie. In the scene where Team Rocket are holding onto Lugia's foot, they realise they are too heavy and are slowing Lugia down. James comments that they should try Weight Watchers, Jessie states that its too late and Meowth shouts "I heard it's never too late if you really stick to the program". The English dub of the movie ends with Jessie and James having a conversation about whats good and bad, this "thats good, thats bad" routine is actually a parody of "Clown Without Pity" which was the third Simpsons Treehouse of Horror episode. We learned in Pokemon Season 2 that Pokemon from the Orange Islands have alternate colouration to their mainland counterparts however in the Brock cameo he is running around Ivy's lab carrying both a normal coloured Paras and a normal coloured Nidorina. India's Hungama TV usually use the English dub from which to produce their Hindi dubs when it comes to the anime, however for some reason they used the Japanese version of the movie to create their dub with Pokemon 2000. This resulted in Professor Ivy being referred to as the name of her Japanese character, even though Indian audiences would've known her by her name from the English anime dub. When Melody is playing the song of Lugia on her instrument all of the pillars of the Shamouti Shrine respond to their notes, that is right until the end when the green energy spreads across the frozen sea.. during this scene the pillars don't light up when their notes are played at all. There is a scene where Professor Oak is providing an explanation of the events to a news reporter where Oak is speaking but its the reporters mouth thats moving. During the English dub Lawrence III's initial reading of the ancient prophecy reveals the line "Lest the earth turn to ash", but later on in the movie it is read as "Thus the earth shall turn to ash". No wonder I couldn't remember which it was! Unfortunately Pokemon the Movie 2000: The Power of One recieved a barrage of negative reviews from ignorant film critics, many of which were unfamiliar with the franchise. I'm not stating that you shouldn't watch Pokemon Movie's if you are unfamiliar with the anime, but these people as professionals should really understand that the movies belong to and tie into a wider franchise as such they shouldn't watch a movie, fail to understand parts of it due to their own lack of understanding and rate it down for it. That aside it wasn't all bad, there were positive reviews from various sources including Gene Seymour of the Los Angeles who commented ""charms without talking down to its audience". He went on to compare it favorably to the first movie, adding that, "...unlike its predecessor, 'Pokémon 2000' doesn't assume that everyone who sees it will know how to tell Togepi from Bulbasaur or Squirtle from Pikachu. Sure, I know now, but I'm not telling because I don't have to"
Here are a couple of links to buy a copy of the movie if you'd like to. I've put in links for both DVD and Blu-Ray versions in various localities.